There are many reasons folks want to use pure maple syrup in cooking instead of regular white sugar, brown sugar, honey and so on. Not only does pure maple syrup taste great, so you’re adding flavor to your recipes, not just sweetness. Maple is also unrefined, so it is not stripped of its micronutrients in processing. In recipes that call for 1 cup white sugar, start with swapping in ¾ cup maple syrup. 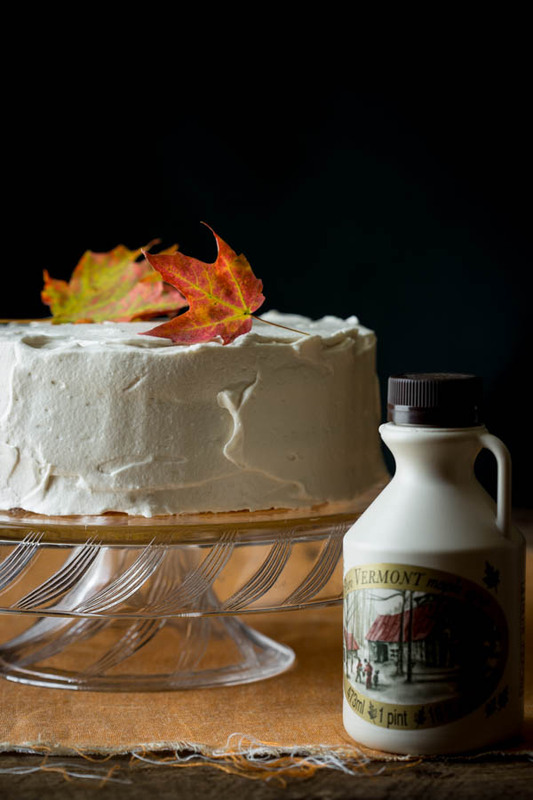 When you sweeten with maple you’re adding flavor not just sweetness, so you’ll often find that you need less of it in a recipe than you would white sugar. In recipes that call for liquid sweeteners such as honey or agave, substitute maple syrup one to one. 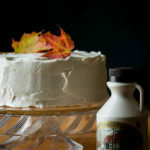 Maple syrup is hygroscopic (it attracts and holds moisture) so it is a great choice if you have a cake or quick bread that needs a bit more moisture. When adding maple to a baked good with a short texture (such as pie crust or shortbread cookies with a crispy and or flaky texture) beware of switching in maple syrup. In this case granulated maple sugar is a better bet. The darker the syrup the more flavor. If you want maple flavor, go for our Grade A Dark, Robust Taste. Maple syrup browns more quickly than white sugar, so you may need to drop your oven temperature a little bit for baked goods. Try reducing the oven temperature by 25 degrees F.
It’s a good idea to decrease the other liquids in the recipe when swapping maple syrup in for sugar. A good rule of thumb is reduce other liquids by 3 tablespoons for each cup of syrup. Because maple syrup has variable levels of invert sugar you’ll want to choose Grade A Golden (delicate taste) for any confections like candy or fudge. Otherwise the fudge or candy will be tacky or won’t set-up correctly. Maple syrup is slightly acidic so it can cause unexpected outcomes with dairy based recipes especially those with non-fat milk. Strongly flavored ingredients can overpower maple’s natural flavors, so you may want to dial back a bit on other flavors and spices. For example, try using white chocolate instead of dark or cutting back on spices like cinnamon. Pair maple with ingredients that naturally bring out it’s inherent flavors. What are some ingredients that make maple taste more mapley? Brown liquors like rum and whiskey, nuts like pecans, hazelnuts and walnuts, sherry and sherry vinegar, vanilla, smoked foods like chipotle, ham and bacon and dried caramely fruits like raisins and dates. When adding maple to savory recipes make sure to balance the sweetness with the sour and salty tastes as well. I like to add a splash of cider vinegar or a naturally tart fruit to balance the sweet. Salty ingredients like cheese and cured meats also help keep the sweetness in check.